It seems inevitable that, at some point, most travelers will encounter delayed, lost or damaged luggage. When your luggage goes missing, it usually means your baggage didn’t make it on to your flight, or that it was misdirected. Usually, your belongings will be located and delivered to you within a day or two. But on occasion, it can be worse — your luggage has been permanently lost or stolen. 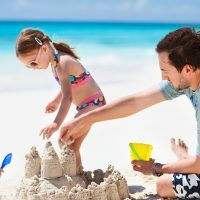 Fortunately, mostly all lost luggage reunites with its owner, and there are ways to increase the odds of a reunion and to prevent a disappointing loss of expensive or irreplaceable belongings on your family vacation. File a “Missing” Baggage Report. If your luggage has not been recorded as delivered to the baggage claim carousel, it is most likely delayed. In this case, proceed with reporting your “missing”/likely delayed luggage. In most cases, it is required that you complete the initial form (paper or electronic) for delayed baggage at the airport within 4 to 24 hours of your flight’s arrival. Be sure to keep a copy of the report for your own records. If you have them (as suggested below), share photos of your luggage and its contents, as well as an itemized list of packed belongings. When your luggage arrives, the airline will typically call you to arrange delivery. Ask if there will be a delivery fee. Get Coverage for Immediate Expenses. In most cases, the airline will approve some coverage for immediate food, clothing and travel expenses caused by delayed luggage (what’s covered and compensation vary by airline). Be sure to discuss what is allowed and note the procedure for reimbursement, which will most likely require submission of original receipts, as well as a copy of your ticket receipt and baggage claim checks. Also, be aware that the airline will most likely include the amount of advance or reimbursement for these expenses in their total calculation for liability in the event your bag is never found. In certain circumstances when your luggage is delayed, the airline will pay for the rental or replacement of sporting equipment. For clothing purchases, you may receive only a percentage of the replacement cost as the airline assumes that you will be able to continue wearing the clothing after your emergency is over. If you have purchased travel insurance or your baggage is insured via your credit card, you will most likely be covered for a set amount of emergency expenses when your luggage is delayed beyond 4 to 12 hours. File a Lost Baggage Claim Report. In the rare case that your luggage has not turned up in 3 to 5 days (depending on the airline), you will be directed to file a baggage claim form. The form will either be mailed to you, provided as a downloadable PDF document to be completed and mailed in, or provided via an online interactive form. Most airlines require the form to be completed within 30 to 45 days of your initial report. Report a Missing Item. If you have claimed your bags and find an individual item is missing from within your bag, you should report it immediately to an airline representative in the baggage service office at the airport. Generally, you are required to do so within 4 to 24 hours of claiming your baggage for domestic travel and within 7 days for international travel. You will then be directed to complete a “missing property” form or to call a special toll-free phone number to make your report. Check your airline carrier’s website for specific instructions, and be sure to confirm the time limit for submitting your claim. If found, lost items are usually retained by the airline from 15 to 30 days before they are disposed. If you left an item behind at a TSA security checkpoint, contact the TSA Lost and Found department. Although it will be difficult to prove, if you are suspicious that TSA may be responsible for taking an item from your luggage during inspection, you will need to make a claim. If you find you left an item behind at your airline’s check-in area, gate, or baggage claim area, check with the airline’s Baggage Service office at the airport you were in or its Central Baggage office. If you believe you left an item in another area of the airport, such as on a concourse or in a concession area, contact the airport’s Department of Aviation Lost and Found. Stay in Touch. Before you leave the airport, ask for the name and phone number of the person who you’ve been speaking with and make sure you know how to follow up on the status of your luggage. Most airlines have a dedicated phone number for lost baggage and an online tracking resource, making it easy for you to stay informed. File a Damaged Baggage Report. If your luggage is damaged, immediately report the damage to an airline representative in the baggage claim area (although it is best to immediately report any damage, you may have from 4 to 24 hours to make an in-person claim at the airport). You will need to provide a copy of your ticket and claim check, as well as your bag for a visual inspection of the damage. You typically won’t be reimbursed for normal wear and tear of baggage; damage to wheels, feet, and extending handles; damage to an over-packed bag; and loss of external locks, pull straps or security straps. Most airlines do not assume liability for damage to musical instruments, sports equipment and strollers that are not packed in a suitable hard-sided case or original packaging, and are generally not liable for damage to contents if the outside of the hard-sided case it was packed in is not damaged. If approved for repairs to your damaged luggage, be sure to get specifics on how to proceed; the airline may provide their own repair service, or require that you use airline-approved vendors and submit original receipts. If your bag is severely damaged, the airline may replace it. 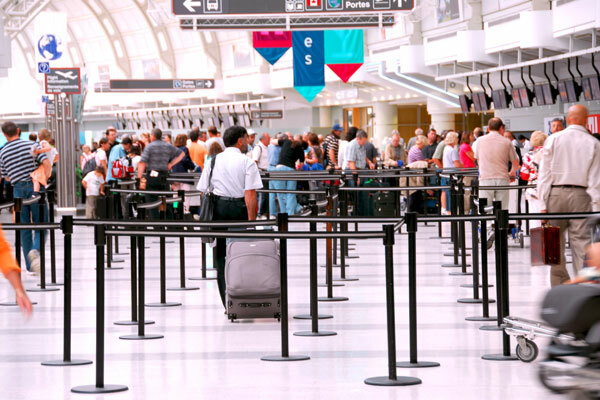 If you believe a Transportation Security Administration agent has screened and damaged your bag, you’ll need to follow a different and longer claims process. TSA does not take responsibility for damage to a lock on a bag or to the bag itself if the damage is due to TSA having to remove a lock. Contact the Police. Although difficult to prove, if you believe your luggage was stolen (e.g. at the baggage carousel or en route), you will need to contact the police. 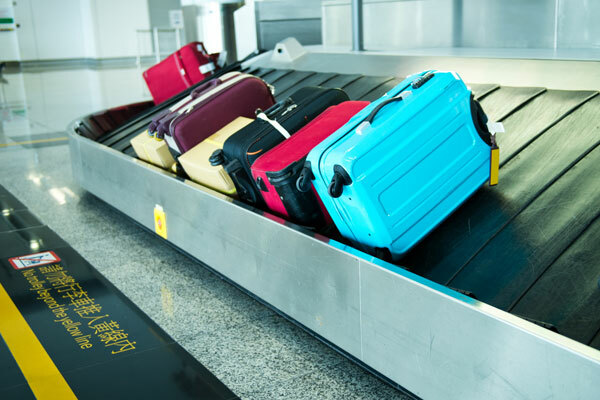 Airline liability and Excess Valuation do not include coverage for stolen luggage. Travel insurance plans including “baggage coverage” typically include reimbursement for stolen baggage and belongings, but may limit their coverage by category and per item. Document As You Go. For each step you take in trying to resolve your luggage issue, be sure to record the name of the person you dealt with and their contact information. Also, retain copies of completed forms and follow-up correspondence, as well as all original receipts for expenses incurred due to your delayed or lost luggage. Make a Complaint. With proper documentation in hand, if you are not able to come to a satisfactory agreement with the airline through their baggage claims office or consumer office or are not satisfied with the way your situation has been addressed by the airline in general, you can proceed with a complaint to the Department of Transportation’s Aviation Consumer Protection Division. Keep Valuables With You. When traveling, it doesn’t make sense to pack anything of true monetary or personal value in your checked luggage, especially with the increase in airport security and baggage checks. And actually, most airlines don’t take responsibility for “valuables” packed in your suitcase, and their definition of valuable may go beyond what you might think (e.g. cash, electronics, jewelry), including items such as books, sunglasses, orthotics, specialty clothing, computer software, personal heirlooms and more. Never pack cash, passports, medicines, keys, computers and electronics, cameras, vouchers, and other important documents and items that will bring an unnecessary complication or a sad ending to your trip if lost. Don’t pack wrapped gifts either, as they may trigger a search by the TSA. In addition to the standard recommended items for your carry-on, also pack essentials you will need for up to two days if your luggage is delayed or lost, including a change of undergarments (several for kids), nightwear for one night, one extra outfit and allowable cosmetics. If you’re traveling with infants, be sure to put all necessities in your carry-on, as well. Take Photos. 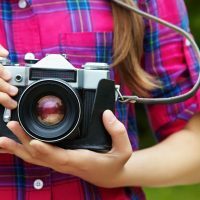 In the event your luggage is lost, it can be very helpful to have photographs. First, take photos of the individual items packed in your suitcase and then of the closed suitcase (making sure to capture your identification tag). Also, make a detailed list of your packed belongings, noting colors, styles and sizes where appropriate. Print each photo and make a copy of the contents list so that if needed, you can leave them both with an airline representative at your destination airport. Label and Lock Your Bags. Remove any long carrying straps that may get caught on an automatic conveyor belt. Next, tear off any old identification tags and airline labels, and attach a new, brightly colored identification tag. If you don’t have a colored identification tag, attach a standard tag along with a brightly colored ribbon, or wrap brightly colored duct tape around the suitcase handle. You’ll be surprised how easy it is to spot your luggage with its small bright tag or ribbon. Lock it up with a TSA approved lock. At the airport, be sure to stow your baggage claim tags in a safe spot. Use Trackable Luggage Tags. Consider purchasing a “trackable” luggage tag. 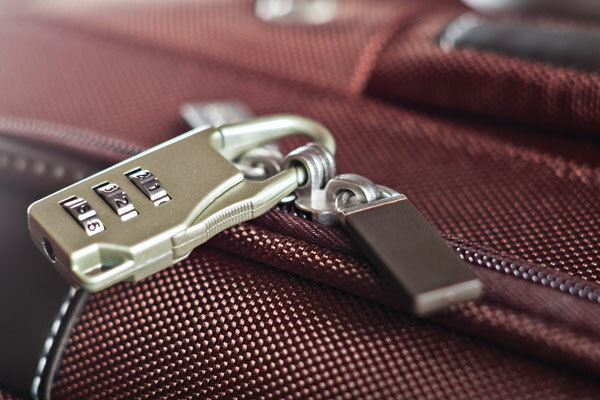 When you purchase high-end luggage, you will frequently receive a permanent metal plate stamped with a unique code for tracking your suitcase if it is lost. Even more sophisticated are electronic luggage tags such as the Trakdot Luggage Tracker, which uses GPS technology to determine when your luggage is in transit. It goes to “sleep” while the plane is in flight, and upon your luggage’s arrival at its final destination, the Trakdot “wakes up” and will alert you of its status via text message or e-mail. Ship Ahead. Since carry-on luggage is typically limited to one or two small bags, consider shipping them ahead through a convenient door-to-door service like Luggage Forward, making certain they are insured for their full value. Or better yet, if they are not essential, leave them home. Carry Fragile Items. If traveling with a fragile item, carry it with you (wrap it with bubble wrap and enclose it in a hard-shelled case) or use a shipping service that will guarantee the item is packed and shipped appropriately to prevent damage. Keep in mind that airlines are not typically liable for any items you carry with you in the passenger cabin. Be On Time. With today’s frequently full flights, if you arrive late to your gate (less than 30 minutes before your flight departure), you may be asked to gate-check your carry-on. Be prepared for this possibility by packing your valuables and important documents in a separate bag within your carry-on. This way, if you need to gate-check your carry-on, you can grab the smaller bag and bring it with you on the plane. Even better, use a carry-on that is small enough to fit under the seat in front of you. Airline Liability. 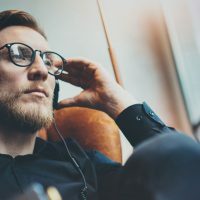 The airlines’ liability for any form of damage as a result of loss, damage or delay in delivery of a customer’s personal property is limited to $3,300 per passenger, except for wheelchairs and other devices for domestic flights. Each airline has its own rules for the items they are liable for and the amount they will reimburse passengers for their lost items. Note that most airlines use depreciated value versus original price or replacement cost for calculating reimbursement, so this process may involve some negotiating on your part. You will most likely be asked to provide purchase receipts or proof of ownership for articles valued over $100. Be aware that the airline may offer you future travel vouchers instead of a cash payment for settlement; there may be restrictions and blackout dates on the vouchers, so be sure you understand the terms before deciding to accept as payment. After your claim is settled, expect to wait up to three months to receive payment. If you paid a fee for checking your lost luggage, the airline must also refund the fee. Additional Insurance. Your homeowner’s or renter’s insurance policy may provide additional coverage of your belongings while traveling. Also, your credit card company may offer coverage for lost valuables packed in both checked and carry-on bags when you purchase your airline tickets with their credit card. Excess Valuation. You can purchase Excess Valuation from the airline at its ticket counter at check-in (may not be purchased curbside), which incrementally increases the airline’s liability, typically for $1 to $5 per every $100 worth of additional coverage up to $1,700. However, Excess Valuation typically does not cover certain valuable or fragile items and does not cover damage to your bag or its contents. Keep in mind, though, that if you change airline carriers during your travel, you’ll need to claim your bag at the connecting destination and re-check it with the new airline, paying their excess-valuation fee to continue your coverage. Travel Insurance. You can purchase travel insurance for your luggage through several online resources or your travel agency. Although travel insurance will provide additional coverage if your luggage is lost, damaged or stolen, be aware that it may limit what it will pay per category and per item.